We’re not going sugar-coat this – Skip really loves his Chick-Fil-A. It could probably be classified as an addiction. 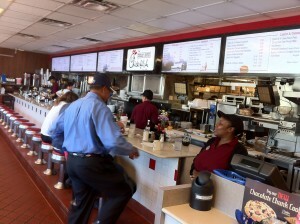 So imagine how happy he must have been when he stumbled on the original Chick-Fil-A in Atlanta, GA!? 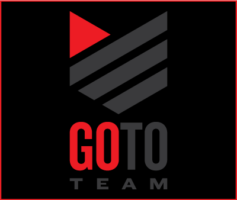 Skip, one of Go To Team’s two Los Angeles based crews, was recently in Atlanta for a feature shoot for Fox Sports. On his way from the airport he happened to find the original Chick-Fil-A, complete with the Dwarf House… and just in time for breakfast! If you’re ever in Atlanta and happen to love Chick-Fil-A almost as much as Skip (it’s going to be hard to top him! ), be sure to check the place out. 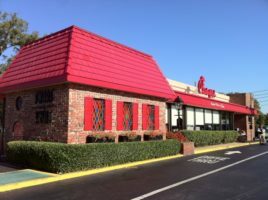 It’s very unique with its Dwarf House entrance (part of Chick-Fil-A’s original marketing schtick) along with a classic diner bar serving the full menu along with diner classics. This original location is located in the Atlanta suburb of Hapeville right between Interstates 75 and 85, just north of the airport.